Unroll 1 can of dough (if using crescent rolls, press perforations to seal) onto ungreased cookie sheet. Spread 1 tablespoon of the mustard to within 1/2 inch of edges. 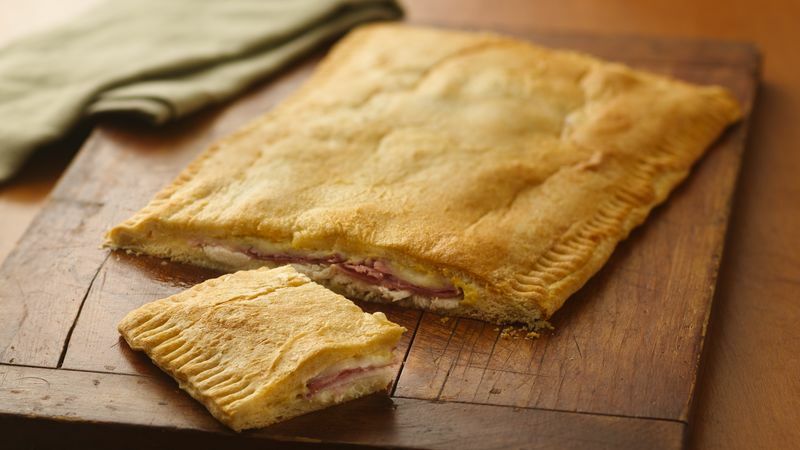 Top with chicken, ham and cheese. Unroll remaining can of dough (if using crescent rolls, press perforations to seal); spread with remaining mustard. Place mustard side down on cheese; press edges with fork to seal.